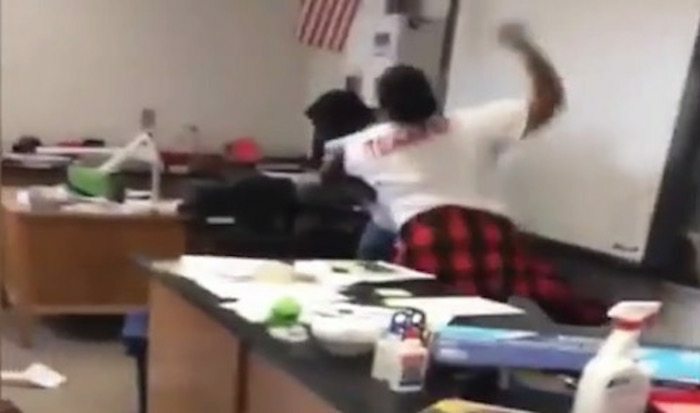 A Georgia middle school science teacher and a paraprofessional got into a vicious classroom brawl — in front of horrified students who captured the fight on video. The two women, who have not been identified, started throwing punches at one another May 19 at Stone Mountain Middle School, which is northeast of downtown Atlanta, according to CBS46. Cellphone video shows one of the women repeatedly punching the other in the face as two students try to break up the fight, to no avail. “One of them was pushed up against the wall because they were so close to hitting her,” a student said. The brawl eventually was broken up by another staff member. 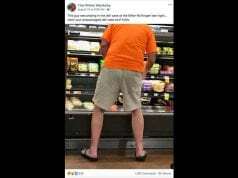 In a letter sent home to parents, the school said the two women had “engaged in a physical altercation that caused a major disturbance in a classroom” and that both would be disciplined, according to WSBTV in Atlanta. Both women were arrested and charged with disorderly conduct in a public place. They’ll be allowed to keep their jobs pending the outcome of the school district’s investigation.